Today i am discussing about some MongoDB management tool and admin interface by Which you can easily manage your MongoDB. Here i am not discuss more about in MongoDB.For more you can go to http://docs.mongodb.org/manual/.Here i am discussing to some very famous tool In MongoDB like in MySQL we use many management tool like phpmyadmin ,MySQLWorkBench and etc. There are 2 tool for MongoDB is very Famous. Lets Discuss One By One. different view modes (text, tree, custom), and more. For more you can see here http://robomongo.org/ and use this awesome tool. 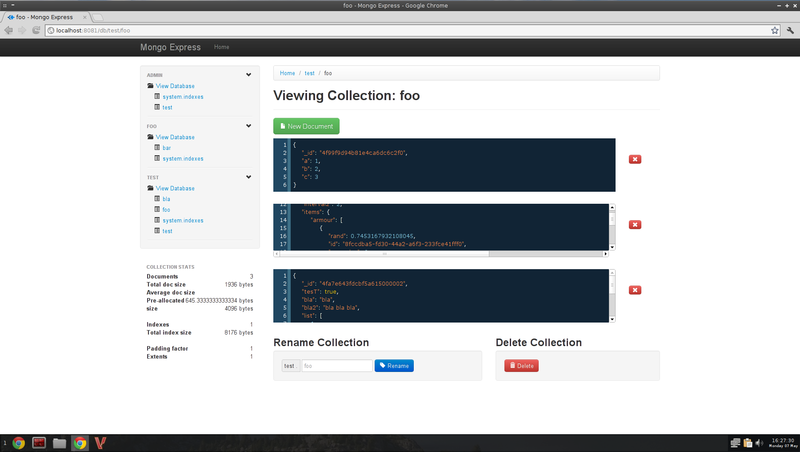 MongoExpress is Web-based MongoDB admin interface written with Node.js and express. In short it is just like phplyadmin as in MySQL.you can treat is a webbased admin for you if you are using MongoDB. I'm Rituraj, a Developer @Nagarro. Founder of Maddyzone . All the awesomeness straight to your inbox.